Hong Kong gangster Cheung Tze-keung was shot with four accomplices on this date in 1998. After a (different) failed kidnapping, Cheung ducked into mainland China to lay low for a spell; he was arrested there in early 1998, months after his Hong Kong stomping-grounds had been transferred to Chinese sovereignty. But if possession is nine-tenths of the law, the Guangzhou authorities had all the permission they could need — the criminal’s own person. Fifteen years ago today, thousands of Freetown residents piled into a stone quarry on the outskirts of the Sierra Leone capital to cheer the firing squad executions of two dozen soldiers linked to the previous year’s coup. In an episode of Sierra Leone’s intractable 1990s civil war, the government of Ahmad Tejan Kabbah was overthrown in 1997 by a military clique in alliance with the murderous Revolutionary United Front (RUF). This was the height of Sierra Leone’s “blood diamond” chaos, and the RUF had earned an international reputation for savagery in exploiting this lucrative trade — most vividly symbolized by thousands of civilians whose arms or legs were chopped off in an effort to induce population flight away from the diamond mines it intended to control. The RUF lived down to its terrifying reputation when it marched into Freetown with its military allies in May 1997. Disorderly gangs brandishing AK-47s looted buildings in Freetown* as President Kabbah fled the country. The African Commission on Human and Peoples’ Rights later found Sierra Leone in violation of the African Charter on Human and Peoples’ Rights for denying the soldiers a “right of appeal to competent national organs” which “falls short of the requirement of the respect for fair trial standards expected of such courts.” Sierra Leone was so little perturbed by the non-binding and unenforceable ruling that it didn’t even bother defending itself against the complaint. * Dubbed “Operation Pay Yourself”. ** They weren’t done by a long shot. In January 1999, the RUF’s more systematically homicidal “Operation No Living Thing” attack on Freetown claimed 7,000 lives, half of them civilians. 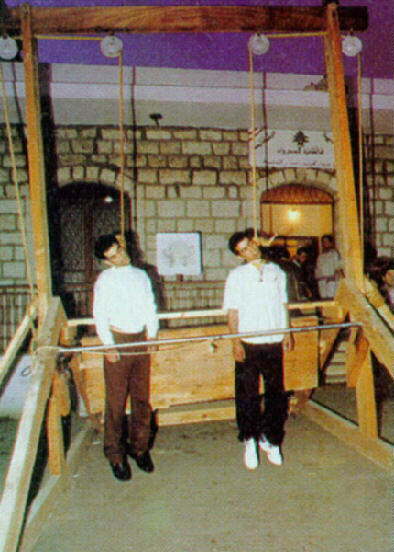 On this date in 1998,* Wissam Issa and Hassan Jabal were shockingly hanged in public in Tabarja, Lebanon. Executions hadn’t seen the outside of prison walls in that country for 15 years at that time — back when there was a civil war on. But Issa and Jabal were condemned for a home burgling attempt gone wrong(er): when the owners unexpectedly returned, Issa fled — but Jabal gunned them down. They both answered for the murders. Marched out onto a somewhat jerry-built hanging platform (Issa was stoic; Jabal, unmanned), the two died at dawn before a crowd of 1,500 to 2,000 spectators … and plenty of cameras. The grisly proceedings made the nightly news, of course. Oddly enough, it was also the last hanging (private or public) for over five more years to come. Later in 1998, a staunch death penalty foe became Prime Minister, and refused to approve any execution warrants. * Reports of May 25 instead of May 19 are out there, but that’s easily disproven by, e.g., this Robert Fisk dispatch on the hanging which saw print on May 21, 1998. 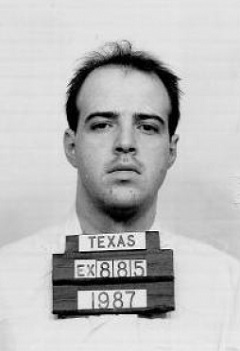 Just after dawn this date in 1998, David Wilson was hanged for murdering a security guard in St. Kitts and Nevis. 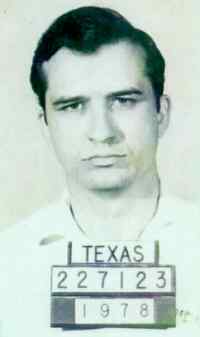 Wilson was only the second person executed by the tiny Caribbean nation since it achieved independence in 1983, and he would be the last hanged there until 2008. Wilson was controversially hanged before he submitted his appeal to the Privy Council. In a bid to shore up national sovereignty, Caribbean countries were even then hammering out a Caribbean Court of Justice to replace these distant and unaccountable magistrates. However, official adoption of the CCJ has been halting.